How do women who are members of a predominantly male-led church experience personal agency in formal religious settings, in intimate relationships, and within themselves? From Jane Manning James, an African American woman who found empowerment and strength in Mormon ritual despite suffering exclusion based on her race, to contemporary church members who are more likely to prioritize personal revelation than hierarchy, Mormon women have answered this question in a number of ways. 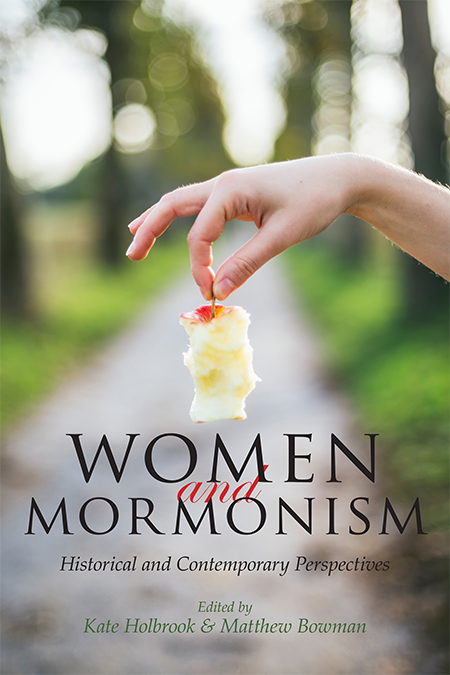 This engaging and seminal volume employs a variety of sources—vivid primary documents, candid surveys, and illuminating oral histories—to explore the perspectives of Latter-day Saint (LDS) women. The expansive approach of this essay collection highlights an assortment of individuals, viewpoints, and challenges that ultimately invigorate our understanding of women and religion. Contributors include lay members and prominent scholars in multiple disciplines, including both LDS and non-LDS viewpoints. Kate Holbrook is a specialist in women’s history at the LDS Church History Department. She is coeditor of Global Values 101: A Short Course and The First Fifty Years of Relief Society: Key Documents in Latter-day Saint Women’s History. Her PhD in religious studies is from Boston University. Matthew Bowman is associate professor of history at Henderson State University. He holds a PhD in American religious history from Georgetown University and is the author of The Mormon People: The Making of an American Faith and The Urban Pulpit: New York City and the Fate of Liberal Evangelicalism.